Sustainable growth is a key sign that a company has matured past the startup stage. Although all companies should strive to obtain sustainable growth, not all of them will reach their potential and lack of sustainability in their business. Two of the most important aspects of a new business idea an entrepreneur is told to look for is sustainability and scalability. Does the business have growth potential? If a business can continue to grow while maintaining sustainability, it will be able to scale. What are some risks an unsustainable business faces? If a company cannot reach a level of sustainability, it gives the competition an opening to take the lead. Being pushed out of the market: Just because your company has lost its forward momentum, doesn’t mean the competition has. Rivals will continue to grow, gobbling up the market share. Some might even double down on their expansion policy in an attempt to drive you out of the market, eliminating you from the game. Stagnation: Customers are always looking for more value. They are happy to pay as long as they feel are getting their money’s worth. But having a company with growth issues limits how much value you can provide to your audience. 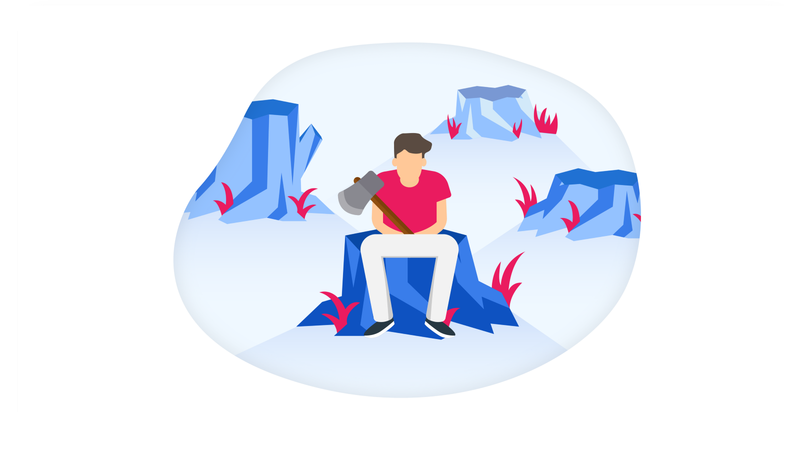 If you hit a ceiling and lose the ability to improve your product or service, your company will lose importance as others innovate and improve upon your business model. Lack of economies of scale: Economies of scale is a benefit that large businesses enjoy when they produce in large numbers. Each additional unit becomes less expensive to make. This relates to all types of industries. But a business that has no potential to grow will never reach the point where it can enjoy economies of scale. Almost all market leaders enjoy economies of scale in some form — it’s a huge advantage that allows them to maintain their dominant position in the market. A business model that lacks flexibility will suffer in the face of a dynamic and ever-changing environment. Technology and trends can change on a whim, and sometimes the best decision is to pivot. This isn’t saying we advocate chasing trends…but the only thing worse than chasing a trend is chasing an old one. If the market has made it clear it has no interest in your product, you’ll need to adapt to find a need that isn’t being met yet. 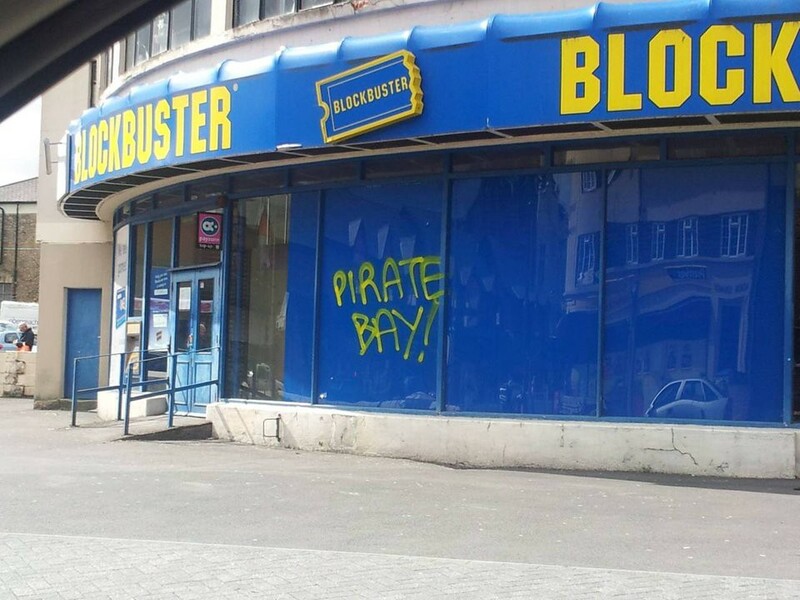 Case study: What killed Blockbuster? Lack of innovation, being insensitive to the market, and a business model that thrived on penalizing its customers — all of these things together brought the end of Blockbuster. Let’s address each of these issues one by one. With the rise of subscription-based services like Netflix, Blockbuster was facing serious competition for the first time. It tried to innovate but in the wrong direction. It launched DVD-by-mail service in an attempt to copy Netflix and claw back some of the stolen market share. When Netflix expanded into a streaming service, Blockbuster launched its own video-on-demand streaming services but was too late. Netflix was the new champion. Blockbuster’s failure to sense the shift in the consumer’s mindset blinded them to the changing environment. Even when Netflix proposed a partnership, Blockbuster’s CEO balked at the offer and Netflix’s founder was laughed out of the office. Who’s laughing now? Blockbuster’s business model was inflexible and prevented them from pivoting and maintaining sustainability. The late fees which Blockbuster leveraged against its customers brought in a lot of revenue. Depending on your age, you may have memories of racing to drop your movie in the return slot by noon. When Netflix launched its subscription-based service, one that allowed people the freedom to return their movies when they wanted, people were quick to choose the alternative. Today, when the world hears the name Wrigley, it thinks of chewing gum. But back in 1891, it was known chiefly for selling soap. The founder, William Wrigley Jr., offered free baking powder as an incentive for merchants to carry his soap. When the baking powder became more popular than the soap, Wrigley smartly decided to pivot and start selling baking powder. Inspired by his previous marketing success, Wrigley decided to give out free chewing gum as an incentive to carry his baking powder. As you probably guessed, the chewing gum became more popular than the baking powder. Wrigley’s, the gum brand, was born. Because it had a flexible business model, Wrigley’s was able to pivot quickly. And remember when we talked about being pushed out of the market before? Wrigley’s did that to its competition back when the financial recession of 1907 hit. At a time when all businesses were struggling to stay afloat, Wrigley Jr. mortgaged everything he owned to borrow $250,000 to launch an aggressive advertising campaign. 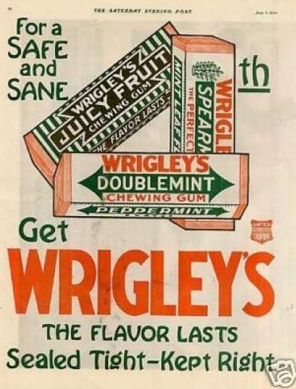 The plan worked as Wrigley’s soon became the most popular and largest selling brand in the United States.